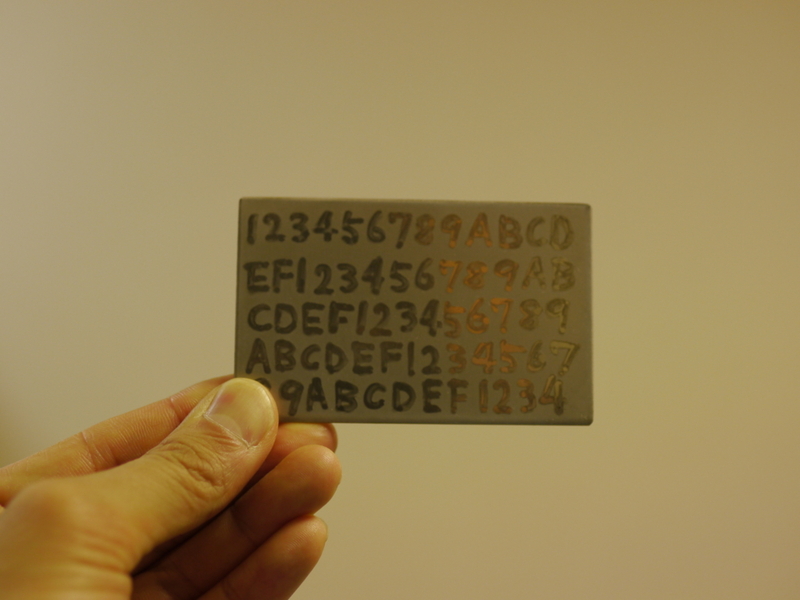 How to Make "Etching Wallet" to Keep your Bitcoin. 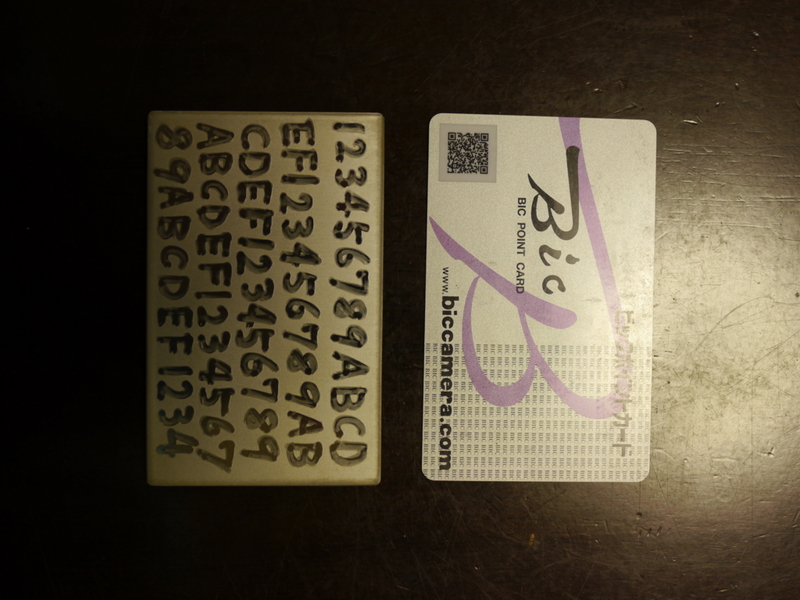 Keeping private keys is a big problem if you have own crypt currency.People who deposit in exchanges are out of the question.However, even if I put it in my wallet of my smartphone or PC, I am afraid of breakdown.So, I think that private keys or passphrases are always backed up on paper.But paper wallets also have drawbacks. When the house is in a fire it is over. 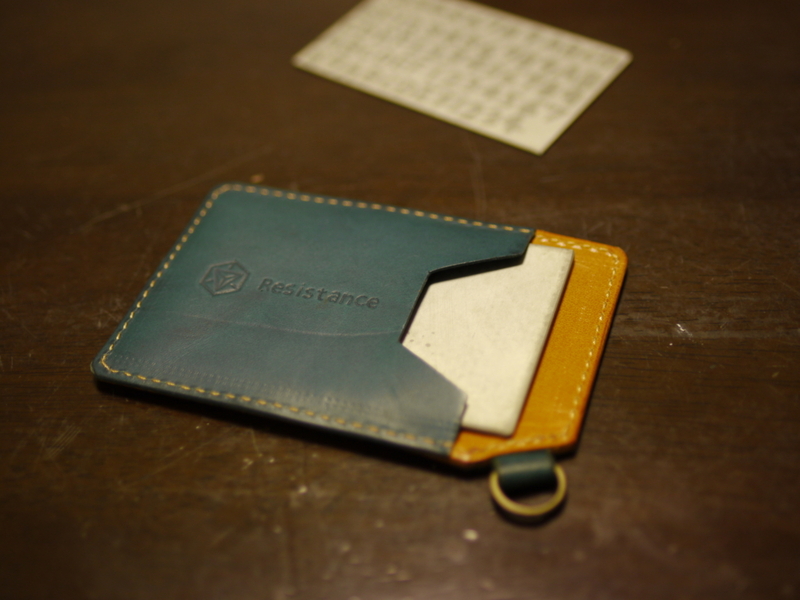 Even if it gets wet or torn by water, it disappears. So, this is on sale. 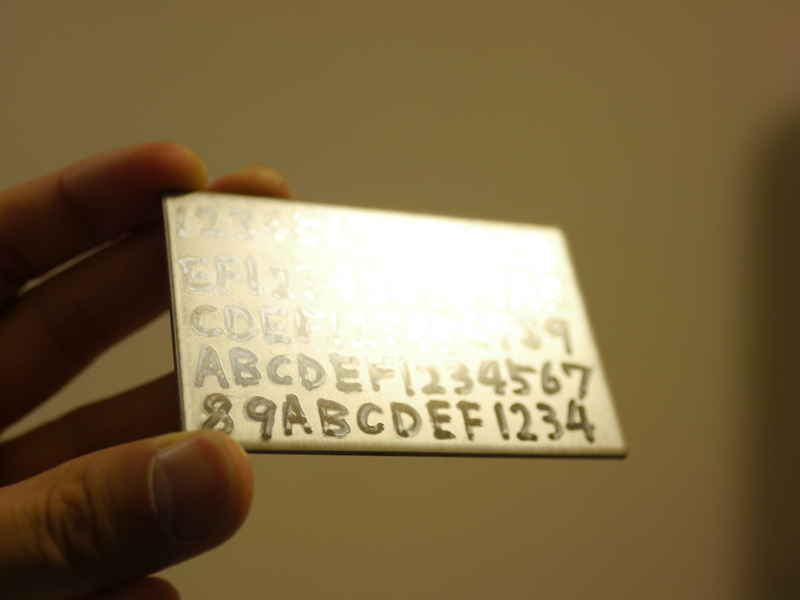 This is crypto steel.This is a wonderful product.Even if it gets a fire, it is a product that letters can be stored in a case made of stainless steel. But it costs $59 and it shipping cost is expensive. 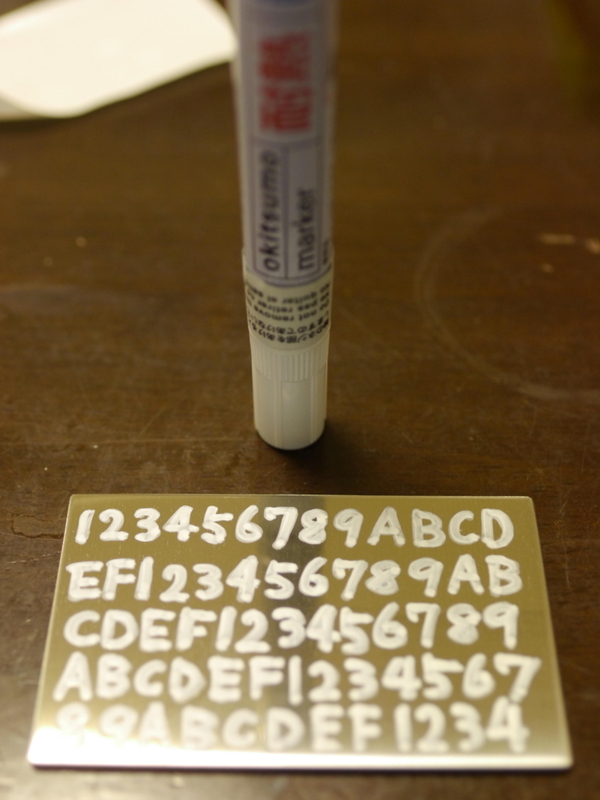 Furthermore, crypto steel can store passphrase, but I want to keep secret key directly with 64 hexadecimal digits rather than passphrase. 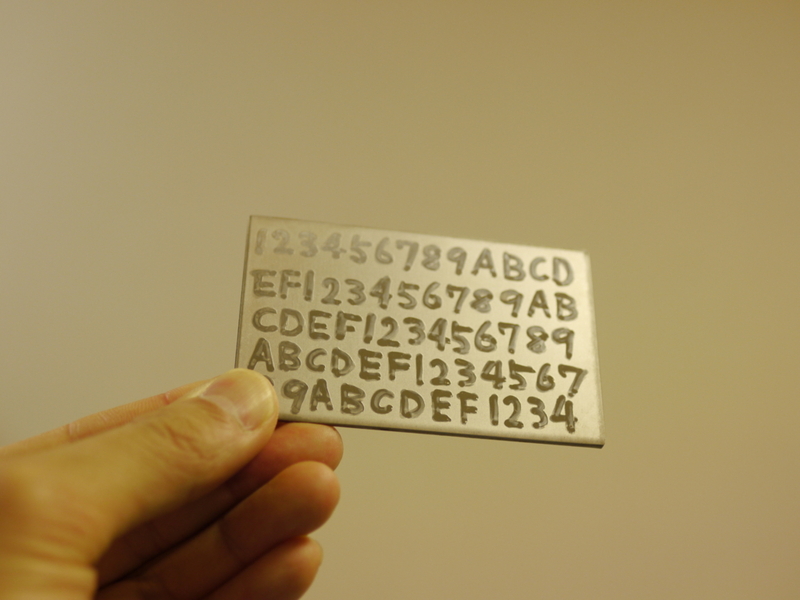 So I decided to print 64 secret keys directly on a stainless steel plate.The method is etching. 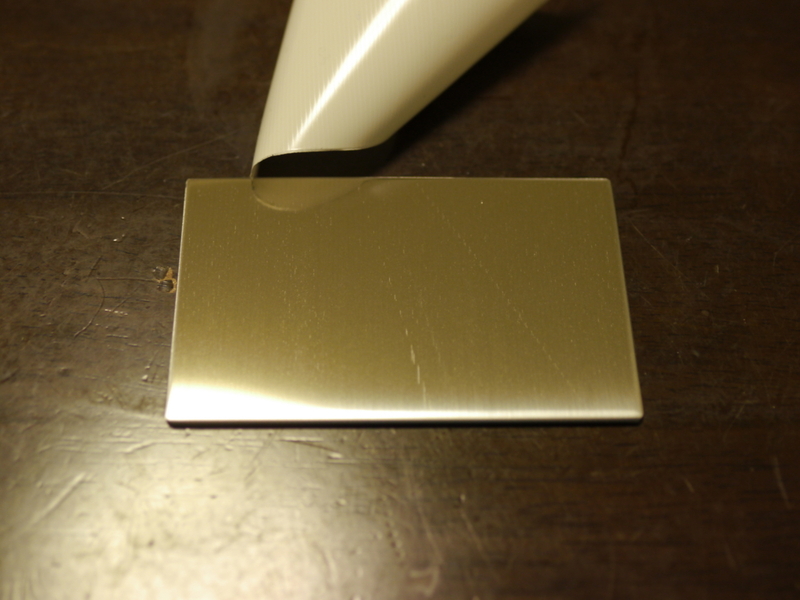 Prepared a stainless steel plate.For this time, used a stainless steel plate of 86mm x 54mm x 2t , almost credit card size, using a mirror surface finish (# 400) on the front side.It can also be used on unpolished 2B board (stainless steel plate with ordinary whitish surface).Lack of metallic luster reduces readability. 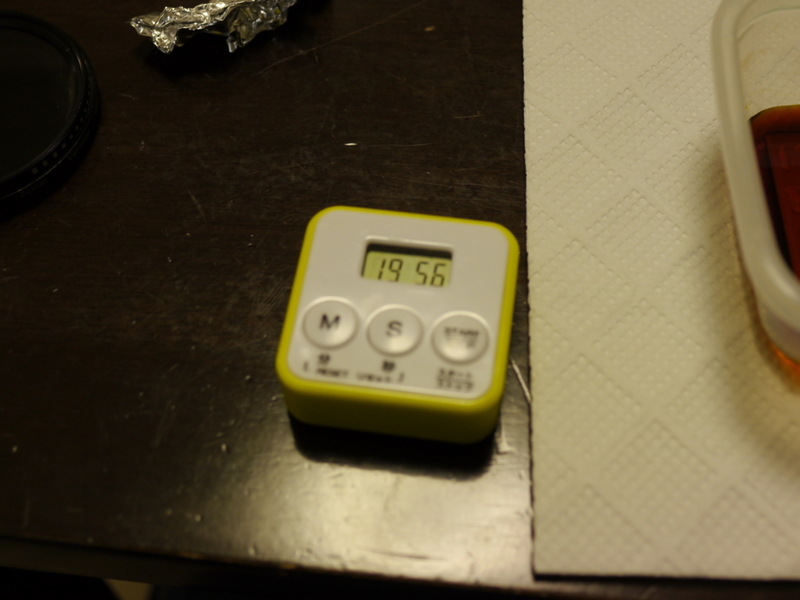 I used thermal markers of Okitsumo for masking. 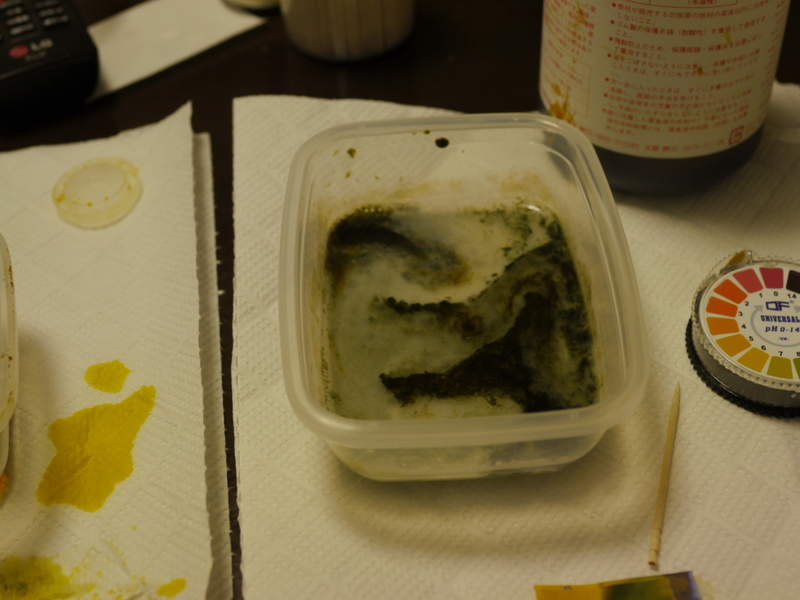 Corrosive solution. I bought it on the Amazon. Why is it so cheap? However it can be used without problems. 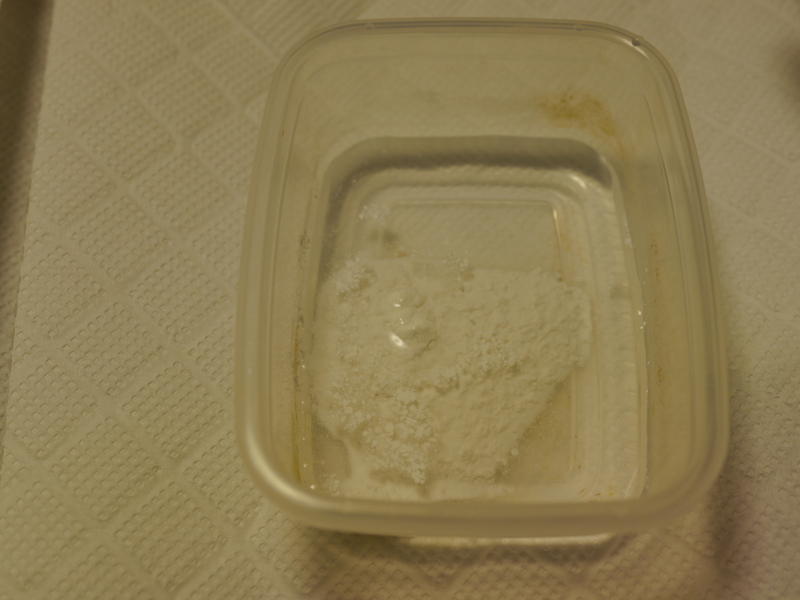 Slaked lime for neutralization of corrosive liquid.If you do not use it and flow the corrosive liquid to the sewer, the sewer pipe melts and it becomes the worst.Be sure to use it. 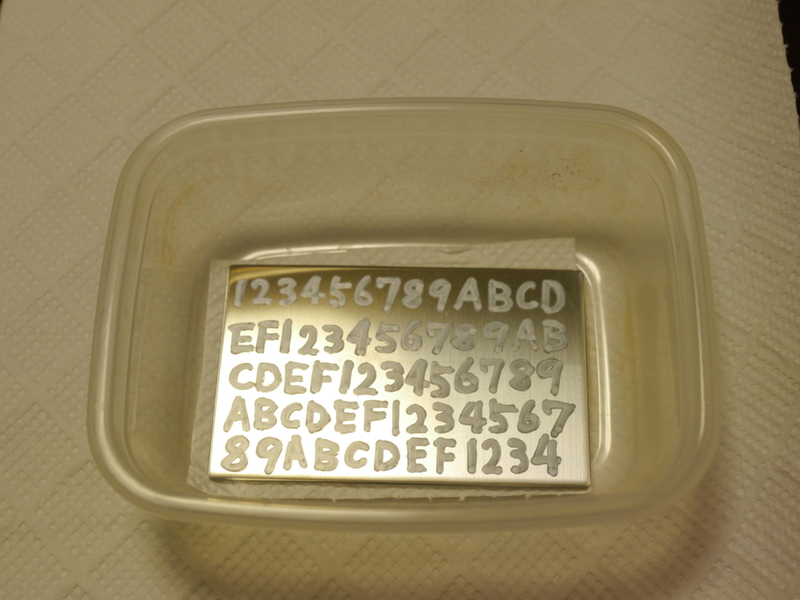 A case of a size that a metal plate can enter. Two. Safety equipment. 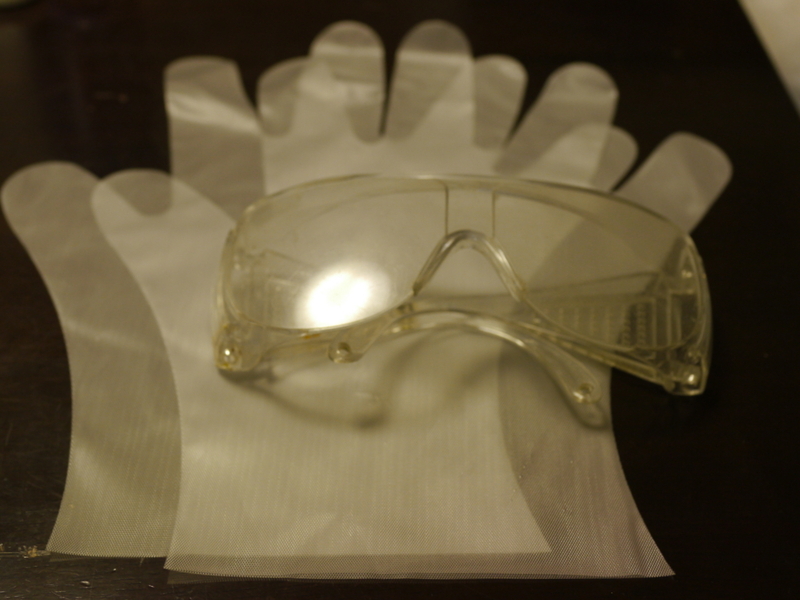 It is protective glasses and gloves.Be sure to use it as it is a dangerous acidic liquid.Gloves are also necessary. I bought it at the supermarket. 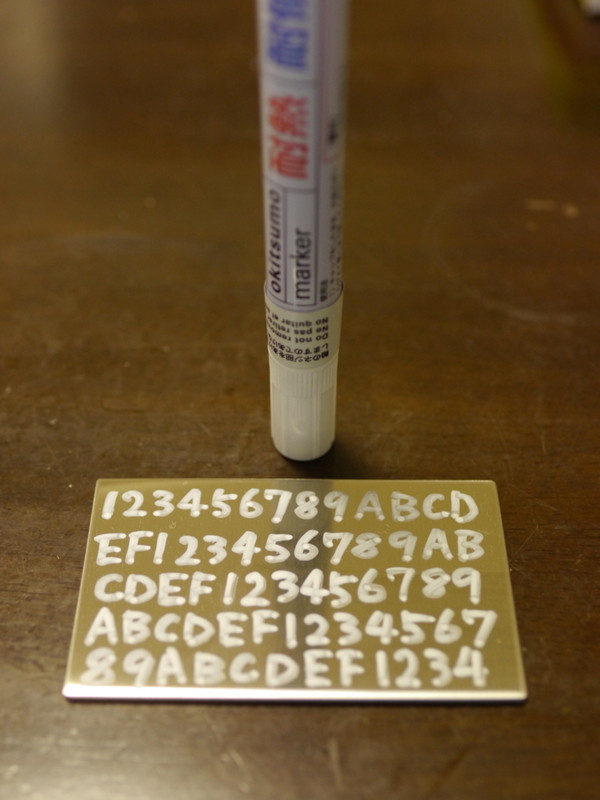 I wrote a private key with a marker on a stainless steel plate.The picture is an example. I have written 64 hexadecimal digits in order. If it dries, write it again from the top. This is because thin portions are not printed cleanly. 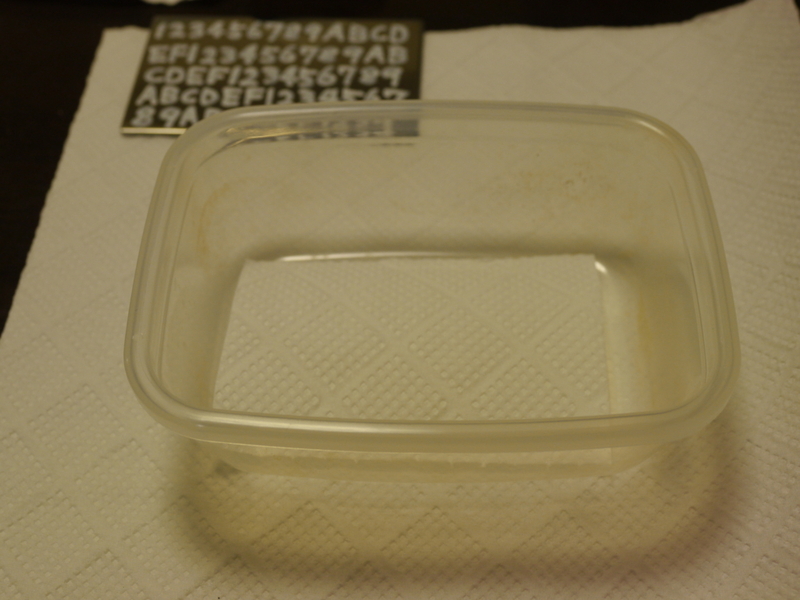 While waiting for the letters to dry, I made a reaction stop tank. Put water and slaked lime in another case and mix. 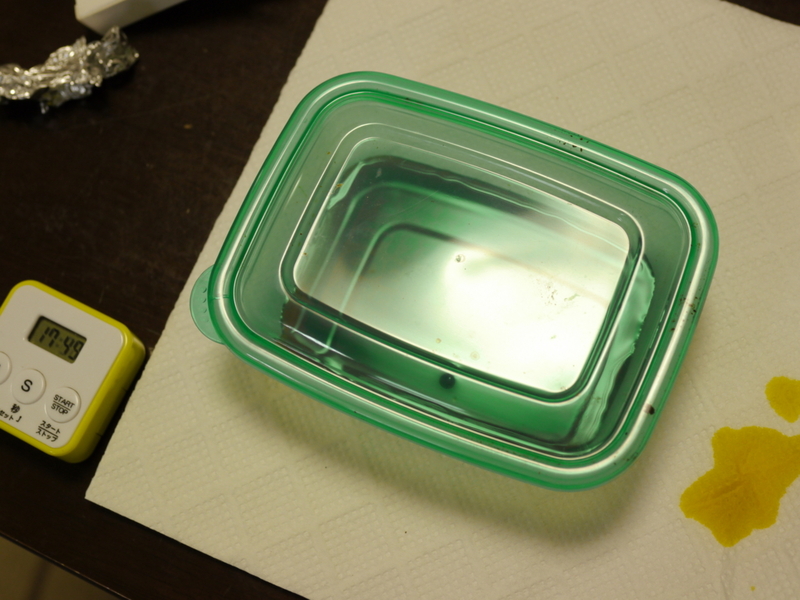 Because it is a strong alkali, the litmus paper is dyed blue. 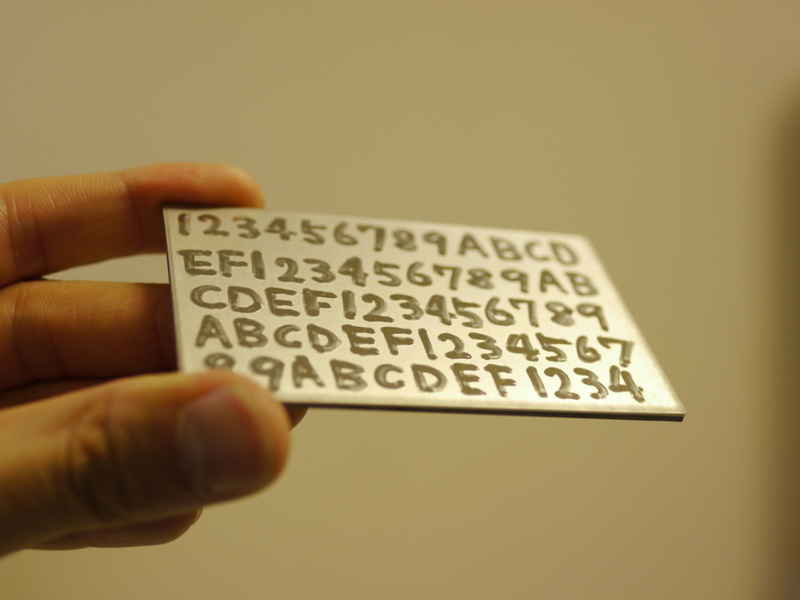 Reaction time is 20 minutes to 30 minutes.The time may be around depending on the temperature.If it is too long, the ink will come off and the letters will disappear. Lid and wait 20 minutes. It took time so I took it out and put it in a reaction stop tank. 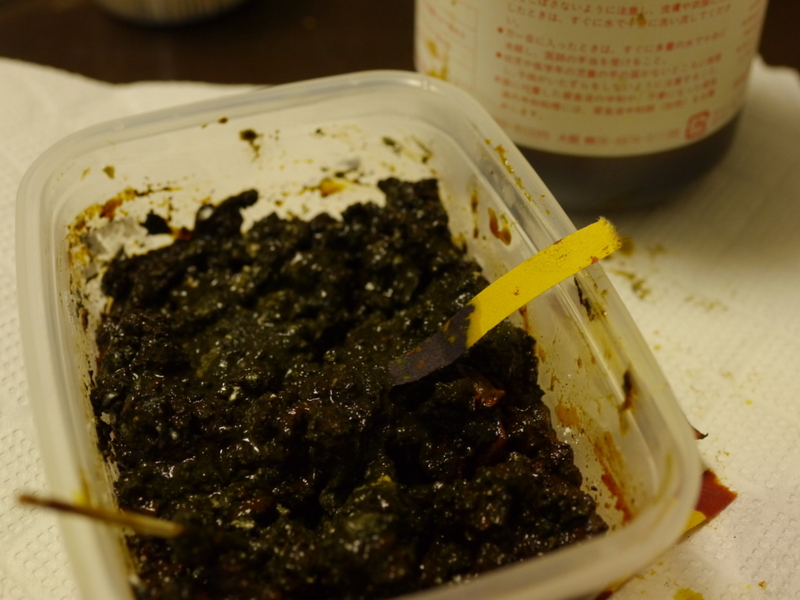 It is iron oxide that is becoming black. 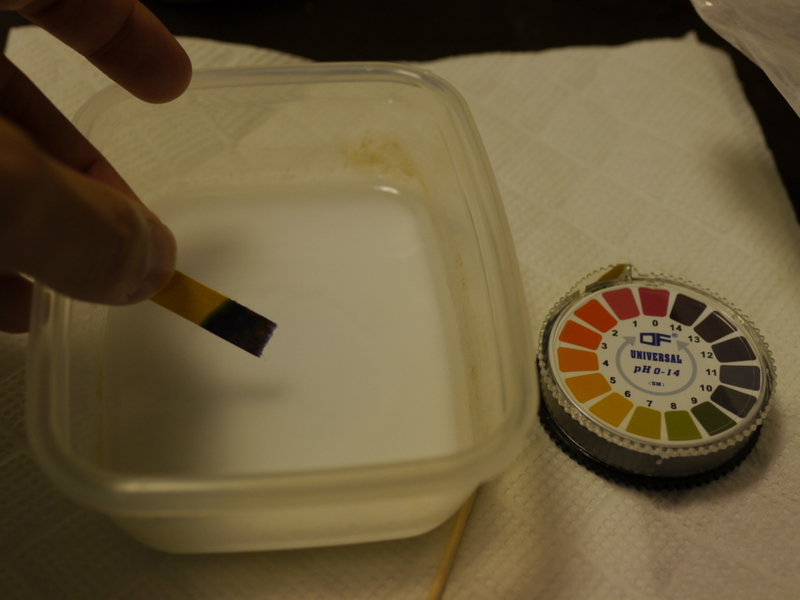 In order to make sure that the reaction stopped properly I measured PH with litmus paper.Alkali is excessive, all acids are neutralized. 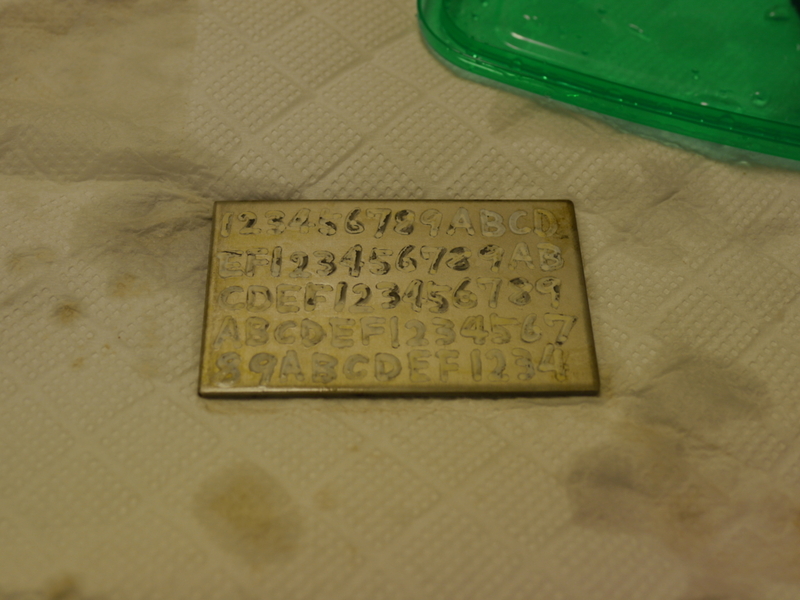 This is the extracted plate. 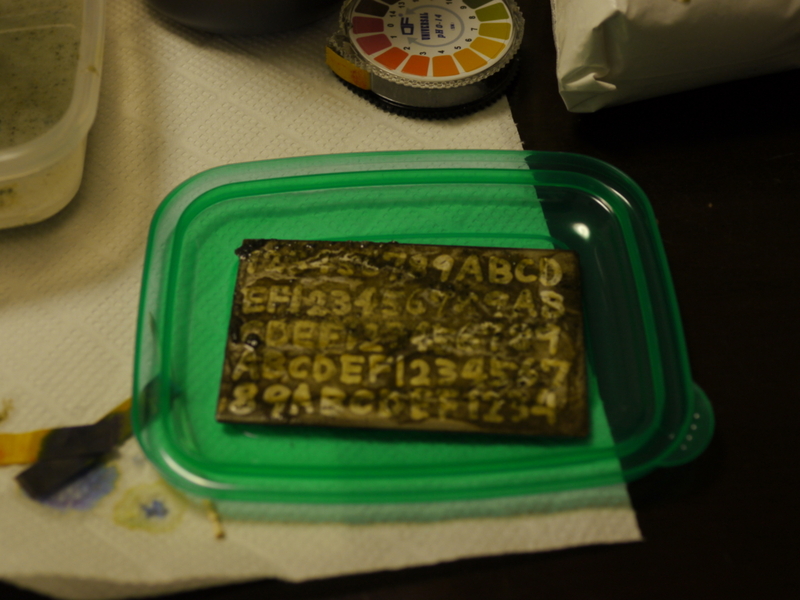 I wiped it with paper and washed it with a lot of water. 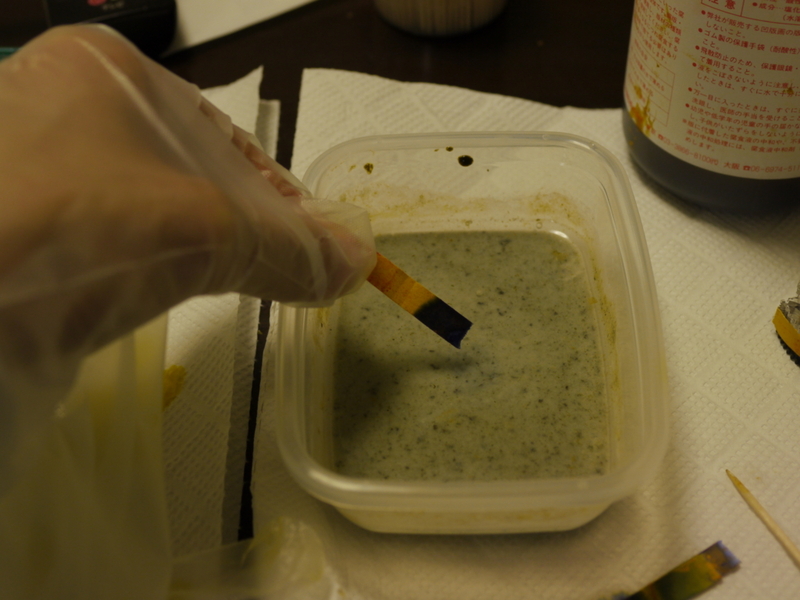 Then drop the marker with a parts cleaner or thinner. 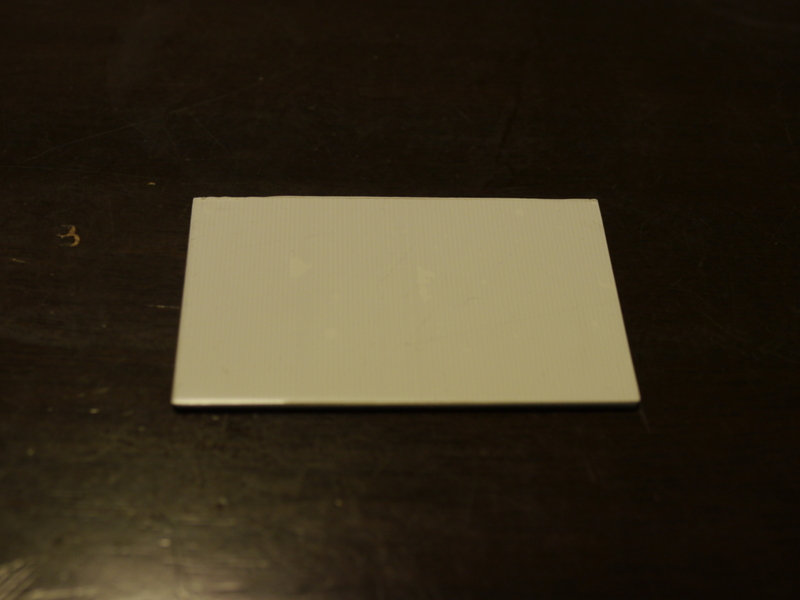 The size is the same as the credit card. 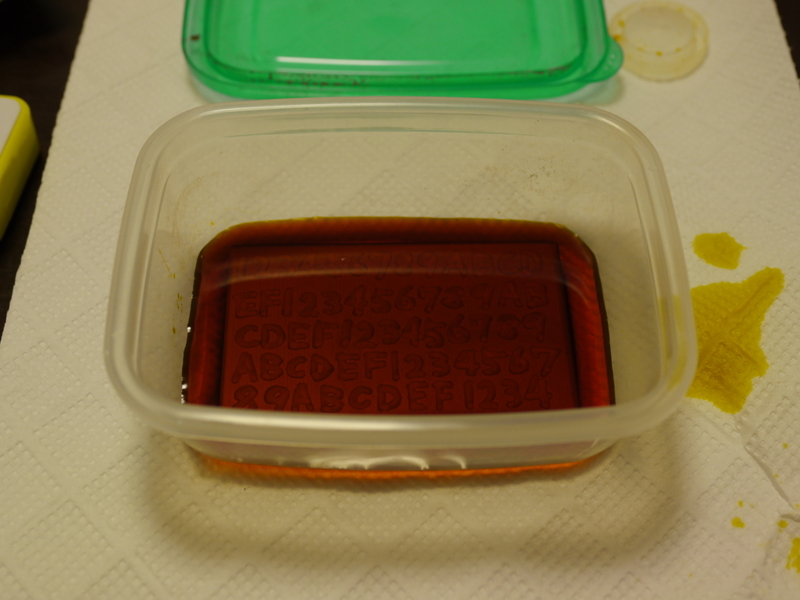 I can only see the color of the letters as it is in the picture.However, the character part slightly protrudes. Even if the house gets fired, it will not disappear the printing of the plate after 10 years of submersion in the swamp. Since this article uses dangerous chemicals, please take all responsibility when referring! Also, please follow the instructions of your country, municipal district to dispose of the used chemicals! The gold bug blog does not assume any responsibility even if it gets hurt or angered by your wife! It is not neutralized unless you enter quite a lot.